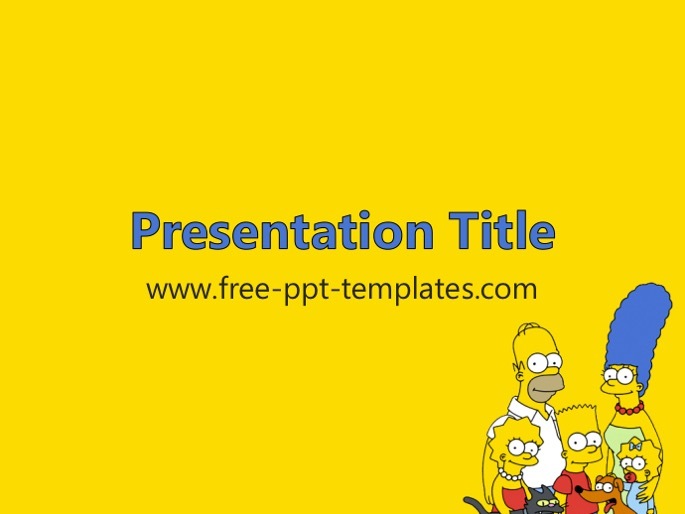 TEMPLATE DESCRIPTION: The Simpsons PowerPoint Template is a yellow template with an appropriate background image of famous TV family which you can use to make an elegant and professional PPT presentation. This FREE PowerPoint template is perfect for presentations one of the most popular TV series ever, about it's characters, episodes, script etc. Do you want to make PowerPoint about Homer Simpson? Well, this is perfect background for you, download it now! Find more similar templates here: TV Shows and Movies.